Whether you are planning a traditional church ceremony or intimate blessing on a tropical beach, your wedding dress should steal the spotlight. 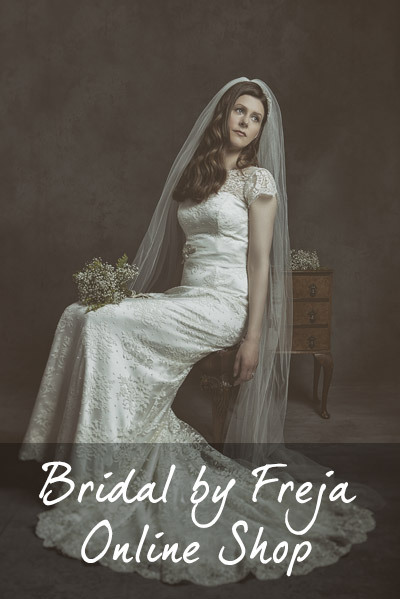 At Freja Designer Dressmaking our aim is to produce the wedding dress of your dreams. 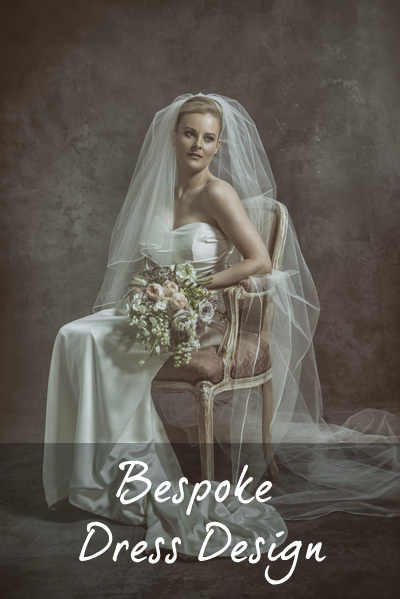 Every bride deserves to look radiant and confident as she walks down the aisle and we believe that the key to a fantastic bespoke wedding dress lies in reflecting the individual’s personality and matching it to the occasion. A relaxed chat at our central Edinburgh dressmaking studio is the first step to a beautiful bridal gown that perfectly fits your day and your style. From the way a fabric drapes to the cuts that best suit your body, we will give you help and advice throughout the design process. 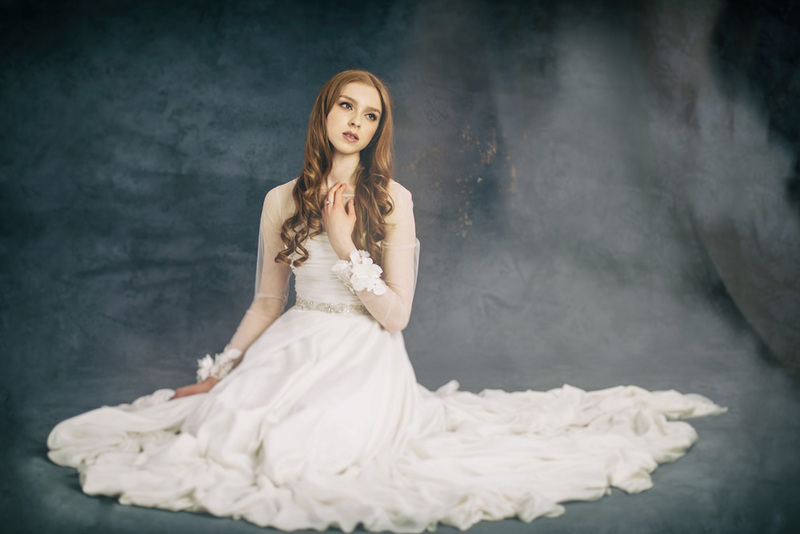 Once we have finalised your wedding dress design we will invite you to our Edinburgh studio for regular fittings while we are making your bridal gown, to ensure a perfect fit. We have a beautiful collection of silks and laces in a myriad of colours, as well as feathers, furs and suedes. We also work closely with specialist embroiderers and offer hand beading with Swarovski crystals and bead pearls. To make your wedding preparations even easier, we can help you find the perfect accessories and recommend trusted hairdressers, make up artists, milliners and photographers.